Nike Savvas, Peter Callas, Maria Fernanda Cardoso, Phaptawan Suwannakudt, Cyrus Tang, Imants Tillers, Lydia Wegner, Guan Wei, Anne Scott Wilson, Catherine Woo, Rose Farrell and George Parkin, Eugenia Raskopoulos, Jacky Redgate, Julie Rrap, Tracy Sarroff, Murray Fredericks, Guo Jian, James McAllister, Vanila Netto, Justine Khamara, Pat Brassington, Lyndell Brown and Charles Green, Peter Daverington, John Davis, Janet Laurence, Sheena MacRae, Dani Marti, Robert Owen,, Sam Shmith, Huang Xu, John Young and Anne Zahalka. We design and manufacture curtain poles, curtain rods, pelmets, tiebacks and drapery hardware for soft furnishing and interior design specialists. 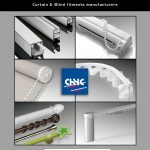 Riel Chyc has been manufacturing tracks, poles, Roman blind systems and window dressing accessories for over 40 years. And we have been present in the UK market for the last 17 years (North London). We do sell our products either in kit form or in components, and provide a next day delivery service for all those orders placed before noon and as long as the items requested are in stock. We receive a weekly consignment from our factory in Spain to replenish our stock, or to fulfill those orders for non-stock items. We do have a wide range of wood or metal poles in different diameters and colours at very competitive prices that can go up to 3.00m in one piece. Besides, we can supply curtain tracks (only metal, steel or aluminium) for domestic or commercial purposes (manual or motorised), either for straight or bay windows. Have a look at our website, and even if you do not find what you are after, contact us, because we might have it. 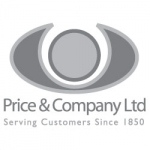 Price and Company are proud to have been supplying the soft furnishing industry for more than 163 years! We offer coordinated curtain poles and accessories, ranging from off-the-shelf stock items to bespoke hand-finished, decorative poles. A full range of stocked trimmings and fabric ranges are available including cut lengths. Custom-made Silent Gliss and Integra products are available along with ready-made tracks corded, uncorded and electrically operated. We distribute products on behalf of Integra, Swish, Silent Gliss, BTC Trim, JAB Anstoez, Casa Valentina, Franklite, Propress, Rufflette and more. All of this along with our extensive accessories ranges including beds, blinds, lights, panel systems and linings makes us one of the leading soft furnishing wholesalers in the UK today. 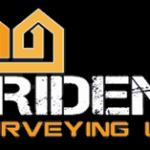 Trident Surveying Ltd are a leading national asbestos surveying company available 24/7, 365 days a year for your convenience. With more than 25 years experience in the asbestos surveying industry, we offer a fast, efficient and professional response and aim to offer our clients the very best possible level of service guaranteed. F​or the very best in made to measure Window Blinds and Curtains, come to XBlinds and Curtains! 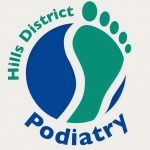 We are based opposite Nottingham Ikea and provide Free Home Visits to most of Nottinghamshire from Long Eaton and Clifton in the South to Newstead in the North. We go East as far as Bingham and East Bridgford. We manufacture and supply all kinds of beautiful Custom pieces, as well as luxury Made to Measure Curtains from our Nottingham Factory Shop. 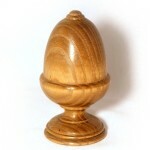 We sell at amazing factory direct prices and our shop (Open 7 Days) gives an extra 25% Cash and Carry Discount. If you looking for something along the lines of what we offer in Nottingham, then XBlinds and Curtains is the company for you! Leading Plumbing Solutions specialises in industrial plumbing and commercial plumbing in Melbourne Australia. Trusted industrial and commercial plumbers in Melbourne and the surrounding suburbs with more than 25 years’ experience in the plumbing industry. Leading Plumbing Solutions provides all plumbing services especially commercial and industrial plumbing services in Melbourne. If you are looking for the top commercial plumbing companies in Melbourne, contact Leading Plumbing now. Here at Denton Blinds we supply a wide range of blinds, canopies and awnings available in a variety of styles, fabrics and colours. All of our blinds are sourced from leading manufacturers such as Louvolite, therefore you can rest assured that your new blind, canopy or awning will last for many years to come. We provide free home visits where our team will be on hand offering their expert opinion and design ideas as well as performing a free measurement service, so you can be sure your blinds will achieve the perfect fit. For more information, contact a member of the Denton Blinds team today. 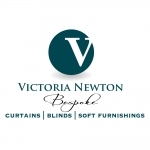 Hand sewn curtains, blinds and soft furnishings perfectly suited to your home. Assistance in choosing fabrics or make-up using customer’s own fabric. Good selection of fabric books and trimmings. No obligation measuring up and quotation. Friendly service and beautiful results! 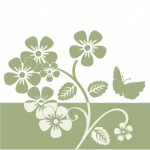 At Silver Birch we create beautiful, made to measure curtains, roman blinds and soft furnishings. We cover mainly the Dorset area but also travel as far afield as Hampshire, Wiltshire, West Sussex & London. I have been sewing since the age of 2, a skill passed on by my Mum who was also a curtain maker. 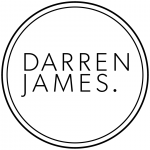 I have been making curtains & blinds for retail outlets, private clients & interior designers for over 20 years. 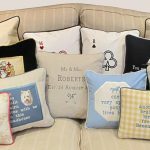 The business I started 5 years ago has grown with many satisfied customers and I now employ curtain makers to assist me with a lot of the sewing, whilst still retaining the personal touch, as I am very much involved in every job. We specialise in hand sewn curtains & roman blinds but we can basically make any type of soft furnishing you are looking for. Anything from a simple cushion cover to a whole house of curtains & blinds. We can supply fabrics or we are happy to make up using your own fabrics. 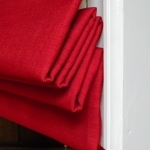 We supply linings and all other curtain making sundries too. 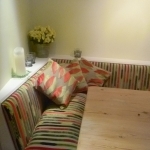 We can make upholstery items, recover chairs, sofas, footstools & make upholstered pelmets. We offer a FREE consultation to take measurements, discuss fabrics and provide a quote for all work discussed. We can supply tracks, poles & hold-backs which can be installed by our dedicated fitter John. We also provide a curtain hanging service. 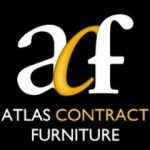 Atlas Contract Furniture are designers, manufacturers and installers of banquette seating and contract furniture for the hospitality and leisure industries, including restaurants, cafes, bars and pubs, nightclubs, hotels and other commercial businesses. 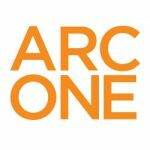 They will produce bespoke furniture to suit exact project needs and requirements whether this be booth seating, bench seating, curved seating or more. Atlas are sure to provide the perfect solution that makes a great impression with your customers. 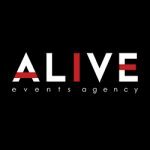 We source and supply contract furniture for cafes, restaurants, pubs, private clubs and nightclubs, bars and office break-out areas and similar leisure activities in the UK. We take the time to get to know the creative and budgetary requirements of your project and source furniture from reputable manufacturers so you can trust that it will look great for longer. 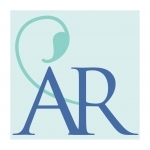 Although we’re based in Ascot, Berkshire – we provide a national service. Designcall Interior Design been in business for over ten years. We work on mainly high-end residential projects, show homes and some commercial projects. 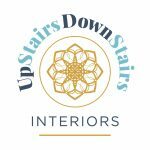 You can visit our interior design website at interiordesign.designcall.co.uk We do everything you can think of to do with interiors, from paint and wallpaper, to fabric, furniture, lighting, accessories and anything in-between! We have a gorgeous design studio and showroom in rural Hampshire just outside Winchester. Our workroom is also here where all of our beautiful soft furnishings including fully lined & interlined curtains, roman blinds and cushions are made by hand. 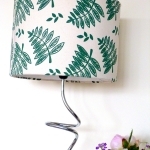 We also have an online interiors store, http://www.designcall.co.uk, which has a wonderful selection of products including furniture, lighting, gifts, home accessories and wallpaper. 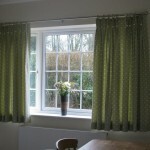 Friendly, professional, local maker of beautiful handmade curtains, blinds and home accessories. Choosing Vanessa Thompson Interiors means you will be choosing a personal service with the highest levels of quality from beginning to end. We will source the exact fabric and accessories required to make a truly bespoke product just for you, whether it be a contemporary or classic look, we will work to your exact specification.